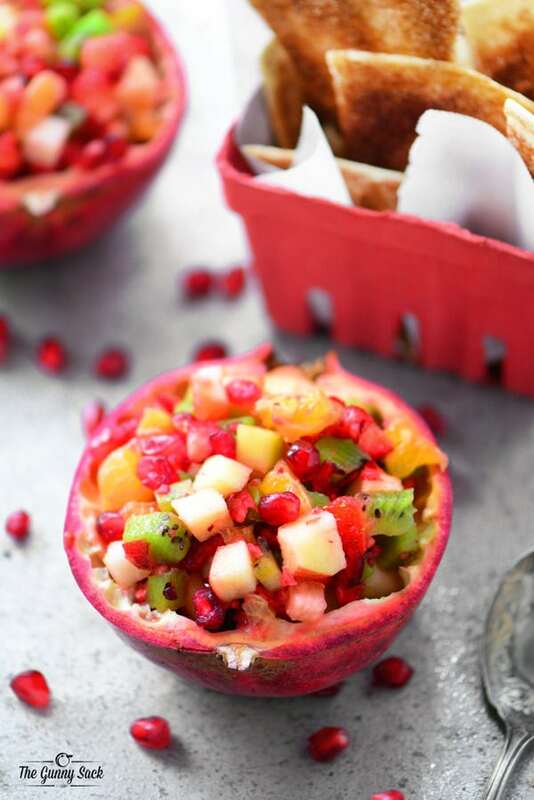 This Pomegranate Fruit Salsa recipe is fun to serve from pomegranate bowl at holiday parties! 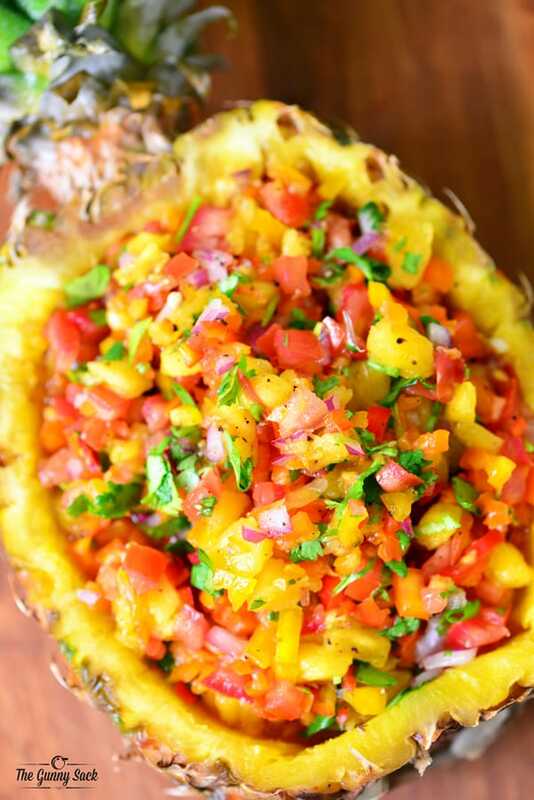 The diced fruit is perfect with crispy baked cinnamon chips. 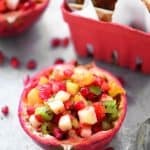 During the holidays we have so many sweet desserts that I decided to make a pomegranate fruit salsa that’s perfect for the holiday season. 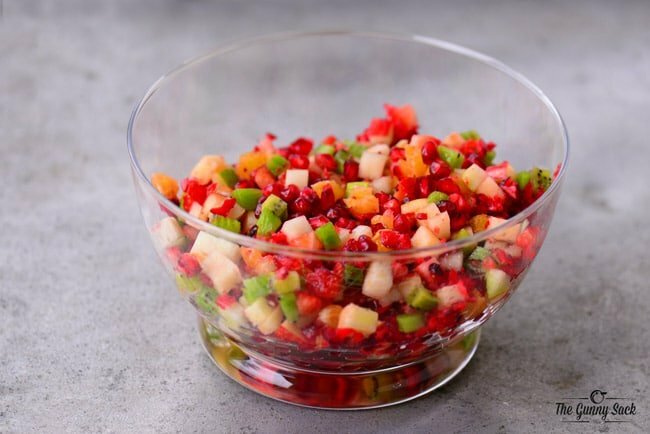 This pomegranate fruit salsa recipe includes pomegranates, cranberries, and clementines a few of our favorite winter fruits! Start by preparing the fruit. When I prepared the pomegranate and removed the seeds, I saved the two halves to use as serving bowls. Wash and trim the apple, pear, strawberries, clementines, and kiwi. 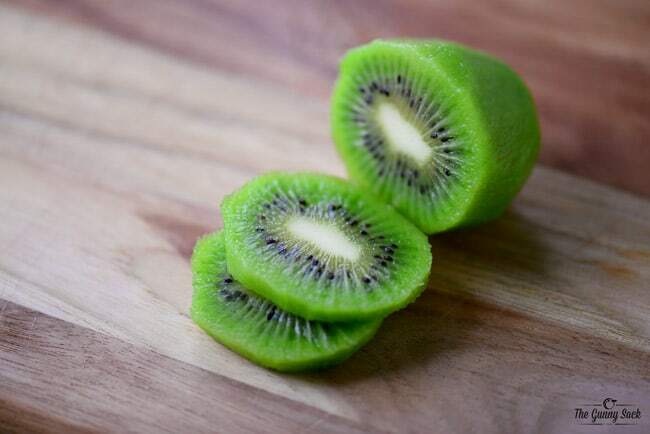 Cut them into small pieces. Put the cranberries in a food processor and chop into small pieces. Put all of the fruit in a bowl and stir. If you prefer you can add cinnamon and sugar to the fruit salsa but I like mine just the way it is. 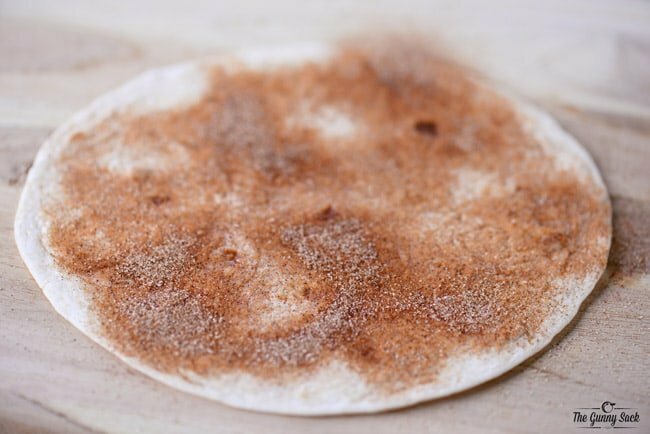 To make the cinnamon chips rush melted butter and soft flour tortillas. Sprinkle with a mixture of cinnamon and sugar. Cut the tortillas into triangles and bake at 350° for 7 to 9 minutes. I put the baked cinnamon chips in disposable berry baskets for serving. 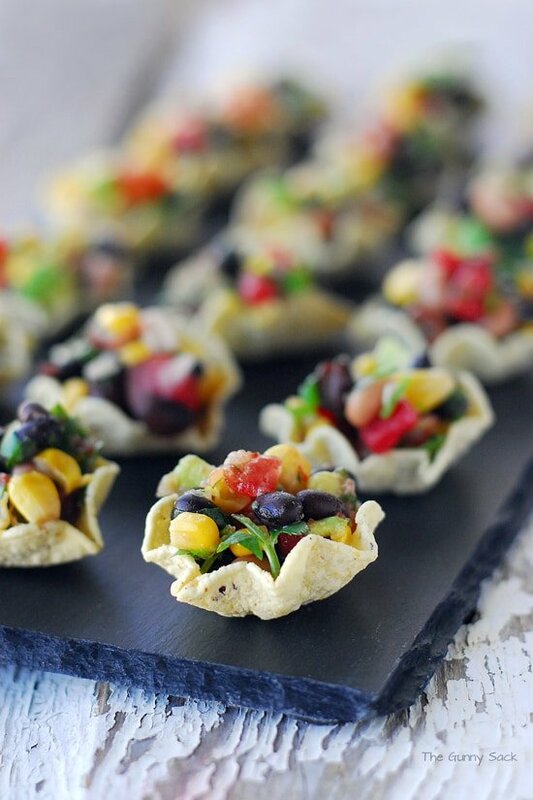 Scoop the pomegranate fruit salsa into the pomegranate bowls before serving. 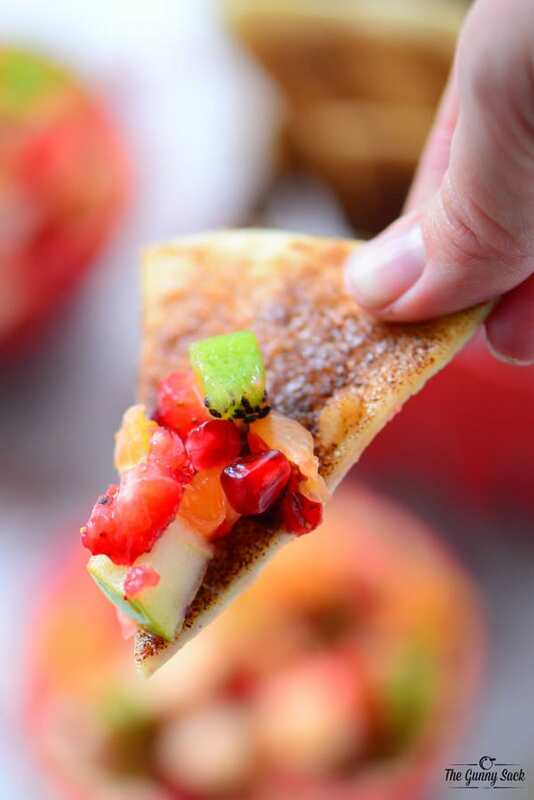 Serve the pomegranate fruit salsa with baked cinnamon chips for a refreshing holiday treat. I’ve been enjoying this pomegranate fruit salsa on my yogurt, on waffles and just plain from a bowl. It would be really good with some vanilla bean ice cream too! 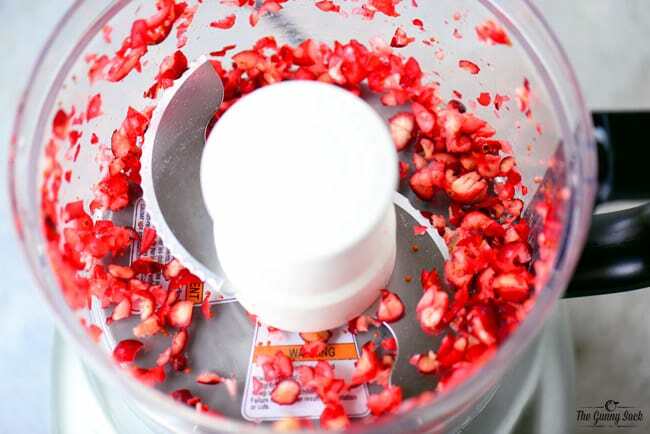 When preparing the pomegranate to extract the seeds, save the two halves as serving bowls. Wash and trim the fruit and dice into small pieces. Put the cranberries in a food processor or food chopper and chop into small pieces. 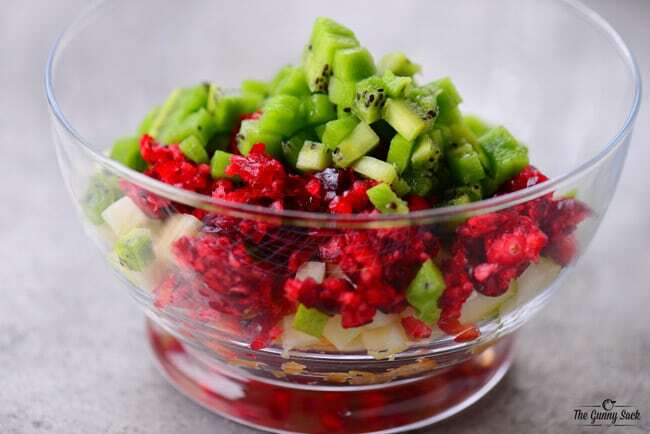 Scoop the pomegranate fruit salsa into the pomegranate bowls before serving if desired. 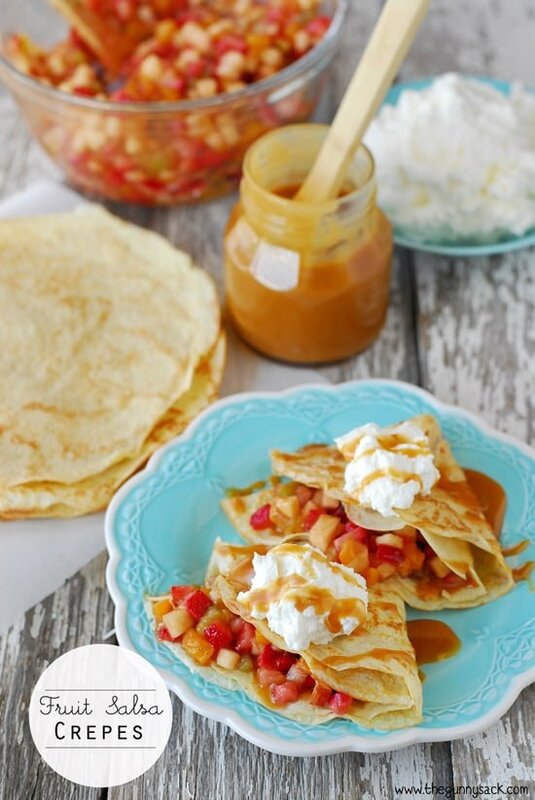 Serve with baked cinnamon chips. 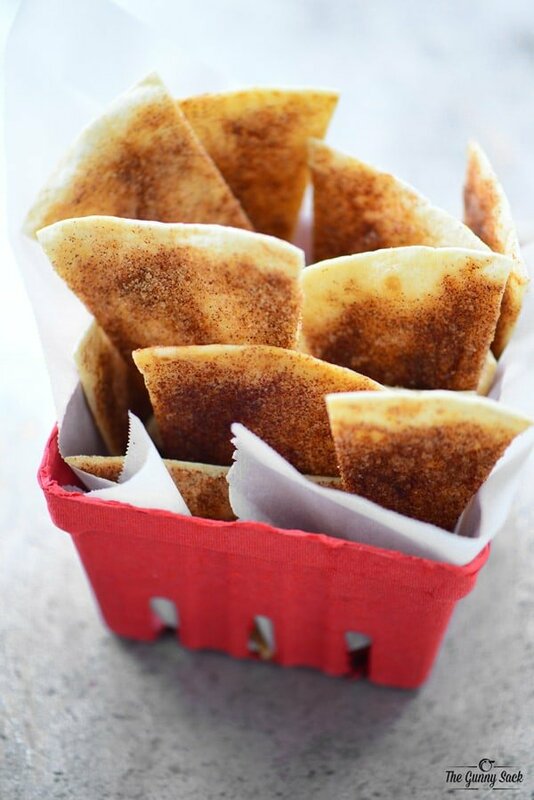 Brush melted butter of the flour tortillas and sprinkle with cinnamon sugar. 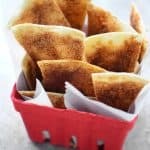 Cut each tortilla into 10 triangles and place on baking sheets. Bake at 350° for 7 to 9 minutes. Oh my goodness! 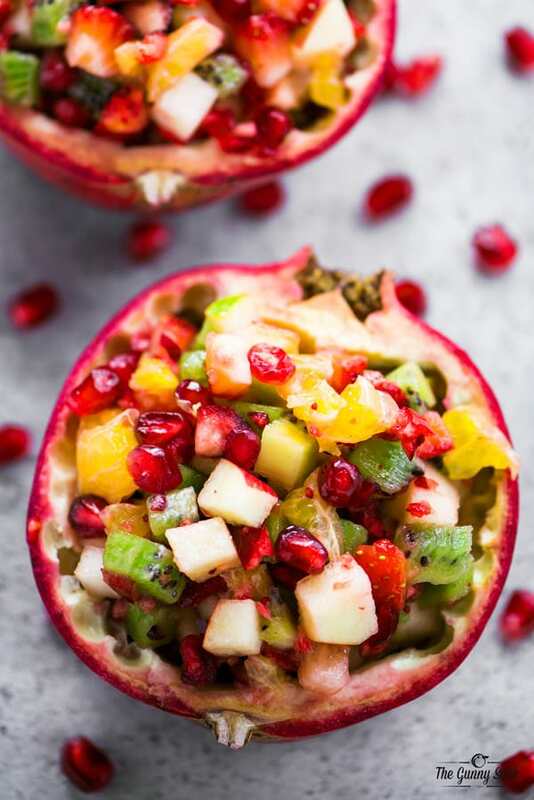 I’ve never had a pomegranate before, but I have got to try this recipe! It looks so refreshing and the chips are a perfect sweet addition! They have pomegranates at my grocery store, well, of course, and I am putting it on the list for this week’s shopping! Wow! This looks refreshing and healthy! Even better for picky kids. I can’t wait to try it! Thanks for this fun recipe!